Eagle's Nest Blog: Now you can read! Lindokuhle in Grade 1B was celebrating his birthday today. 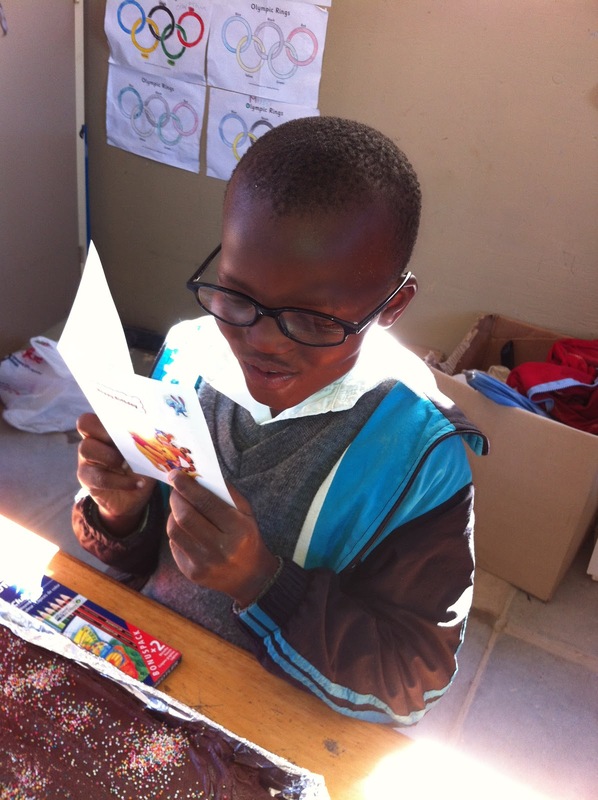 His teacher had told the class that now that they can read, they should read their own greetings in their birthday cards. After struggling for a bit he handed the card over and said "I can't." Quick as a flash, Mrs Booysen took off her glasses and handed them to him. "Now see if you can read it! " she said. The class packed up laughing! Here is the moment.